Preparing for the first day of school can be exciting, nerve-wracking and more. In fact, you and your child are likely to experience a host of emotions as you get ready and prepare for the big day. 1. Lay things out the night before. It’s vital to lay out clothes, pack lunches and prepare backpacks the night before the big day. In doing so, you’ll avoid the morning chaos that can come from trying to pull everything together when you’re crunched for time. While it can be tempting to let your child stay up late or veer from his bedtime routine due to back to school jitters, don’t. It’s imperative that your child is well rested for his first day of school. 3. Wake up a few minutes early. Set your alarm a half hour earlier than you normally would to allow yourself a little extra time should any morning mishaps occur. Get yourself completely ready prior to waking your child, so that once he’s awake, you can give him your undivided attention. The first day of school is not a day that you want to be running late. 4. Serve a nutritious breakfast. Kick of the school year by serving a healthy and nutritious breakfast. Consider making eggs and toast, and serving it up with fresh fruit and yogurt. Children who eat a healthy breakfast tend to do better in school. 5. Leave enough time to get to school. Whether you’re walking or driving to school, leave yourself a few extra minutes to get where you’re going. With school bus drivers on new routes and crossing guards directing traffic, it’s a good idea to leave an extra 5 or 10 minutes to get to the school. If your child is taking the bus, be at the bus stop 5 minutes early so that you’re sure he doesn’t miss the bus. Preparing for the first day of school doesn’t have to be stressful. 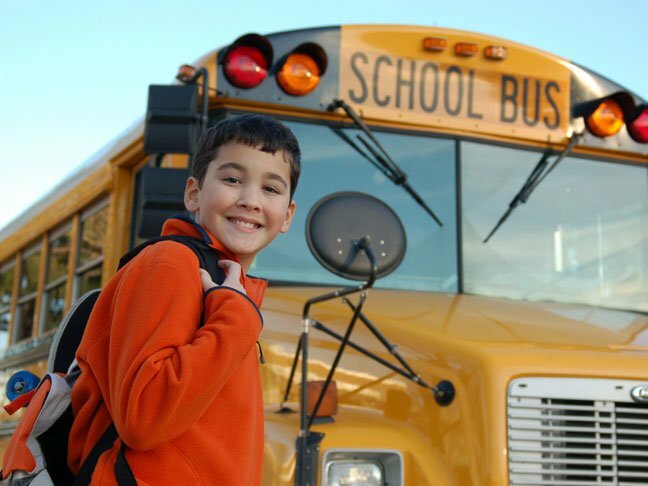 With a little planning and advance preparation, you can be sure that your child has a relaxing sendoff on his first day of school.